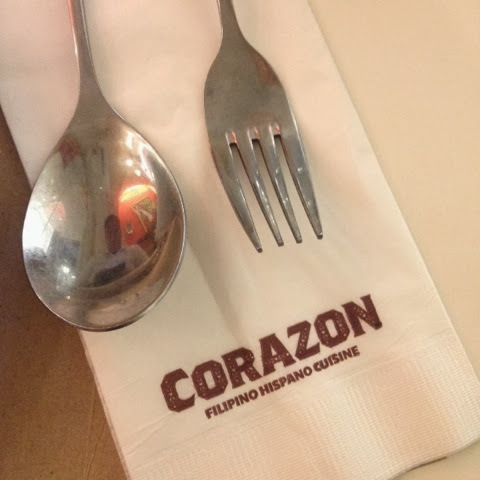 Food Escapade at Corazon (Filipino Hispano Cuisine) | Vanity and Everything in Between. These mussels taste so good! 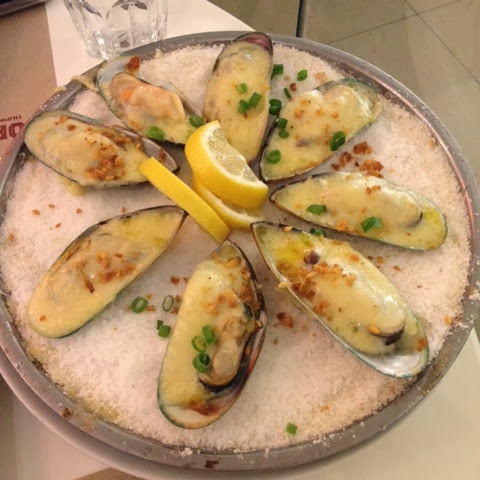 It's not your ordinary baked mussels that can be easily ordered in Filipino restaurants. If you can see it's served on a big bowl full of salt. It's like two inches worth of salt. 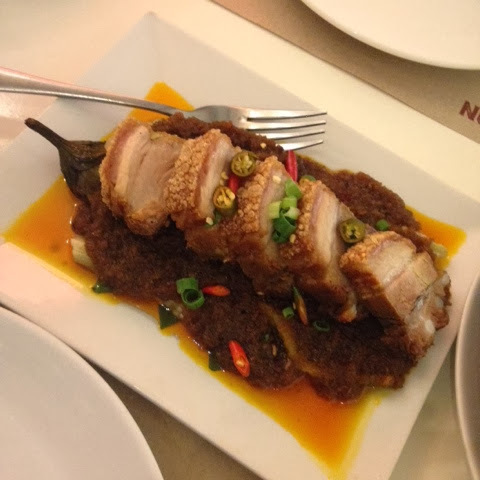 Also known as Pork Binagoongan. It's 5 slices of Bagnet with bagoong and eggplant underneath. To all Binagoongan lovers out there (I'm one of them), this is a must-try! It's so sinfully yummy! Could you believe that the two of use finished this? And we weren't that hungry when we dined here! This rice could be good for 4 people so the price is not bad if you think about it. Another must-try! 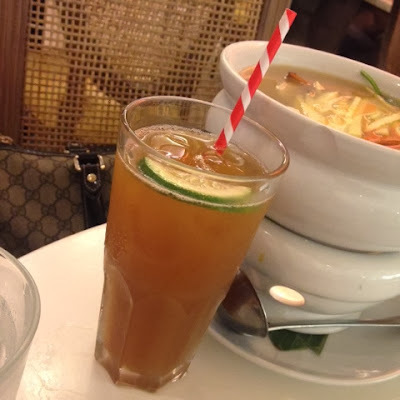 I really like my Sinigang na Hipon sour. I especially like it when my face gets all maasim (facial reaction) when I sip on the soup. 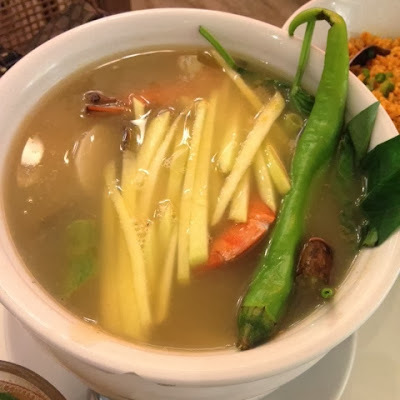 Come on, I know you like your sinigang that way, too! Honestly, we weren't expecting much when we ordered this so imagine our surprise when it met my expectation! It was very clever to add green mango. It's refillable so no need to worry about finishing this up in a heartbeat! 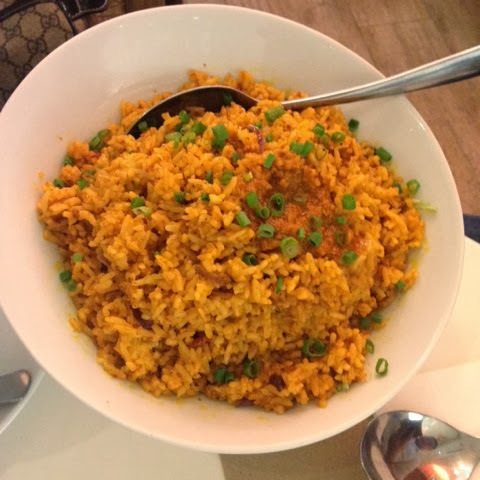 I loved everything that we ordered and I will definitely come back to try more of their dishes! You can never go wrong with Filipino food, I know. But seriously, Corazon has outdone their dishes! I can sinfully devour their dishes! Corazon is located at Shangri-la Plaza East Wing.